This picture was taken by the HRSC in color and 3D in orbit 18 on 14 January 2004. It shows a perspective view of a mesa in the chaotic regions east of the Valles Marineris, the largest canyons in the Solar System. 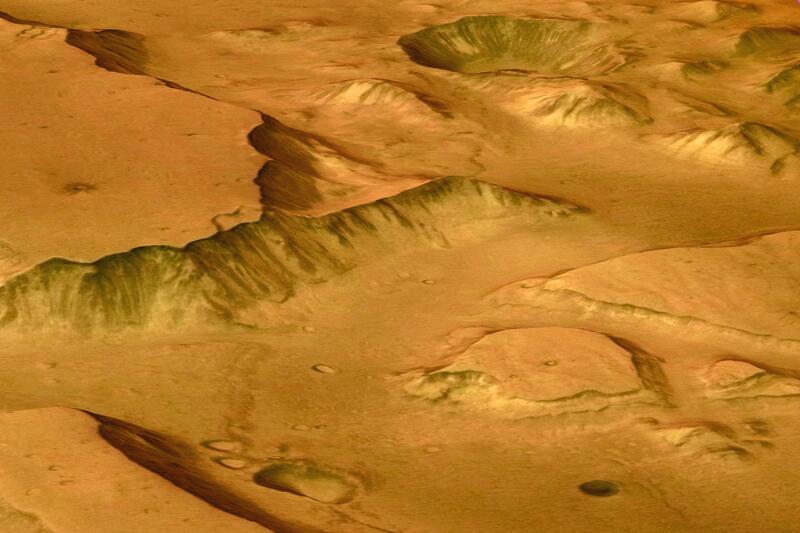 The surface collapsed a long time ago, when large volumes of water were removed in the subsurface and flowed towards the northern lowlands of Mars. The large crater in the background has a diameter of 7.6 km and a depth of 800 m.
This picture was taken by the HRSC in color and 3D in orbit 18 on 14 January 2004. 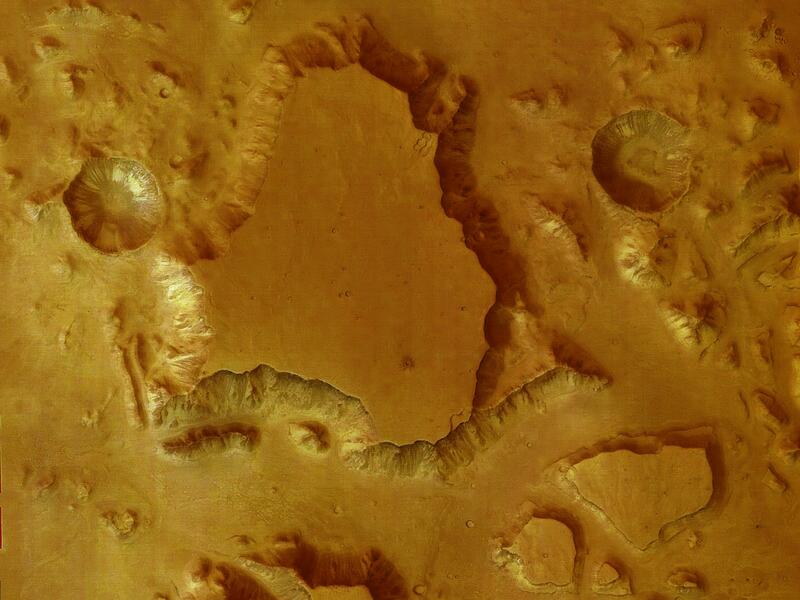 It shows a vertical view of a mesa in the true colours of Mars. The summit plateau stands about 3 km above the surrounding terrain. The original surface was dissected by erosion, only isolated mesas remained intact. The large crater has a diameter of 7.6 km.